The decision last week by the Swiss government to sign the OECD’s somewhat lengthily named Convention on Mutual Administrative Assistance in Tax Matters is the latest of a series of developments that have radically increased the amount and quality of tax information available to governments. For developing countries, being able to access and use that information to address tax avoidance could mean billions of dollars in increased revenue, particularly in the extractives sector. However, these countries are often not able to make full use of tax information sharing agreements. Within the existing treaty framework, wealthier countries can reserve the right not to share information with weak tax administrations in developing countries, citing concerns about confidentiality and data protection. So far, few developing countries have joined the OECD convention, which in November 2011 was opened to countries outside the OECD and the Council of Europe. In Sub-Saharan Africa, only Ghana has ratified it, with South Africa and Nigeria having signed but not yet ratified. If joining the convention, developing countries are unlikely to benefit unless they also strengthen tax administrations, gaining full access to information by assuaging concerns regarding data protection, and developing the capacity of large taxpayer units to efficiently exploit newly available tax information. To be credible participants in mutual information sharing agreements, developing countries must also be able to generate domestic tax data that is of interest to partner countries. Switzerland, whose financial sector manages $2.2 trillion of offshore assets according to Boston Consulting Group, happens to be one of the main global transaction hubs for the oil, gas and mining sector, which in many developing countries dominates production and exports. Companies in this sector, it has been claimed, frequently dodge billions of dollars in taxes payable to developing countries by shifting profits to low-tax jurisdictions. Due to the complexity of tax instruments used to avoid taxes, and historical secrecy of transactions in the extractives sector, reliable numbers for tax avoidance are hard to come by. However, existing estimates provide staggering figures for fiscal losses incurred by developing countries. According to one widely cited estimate, African countries annually lose $38 billion to abusive transfer pricing, one of the main forms of profit shifting. To place that figure in context, it slightly exceeds the flow of development assistance to the continent. Other estimates suggest annual losses from corporate tax avoidance for developing countries range from $98bn to $160bn. The decision by Switzerland to share tax information, which still has to be ratified, is the latest addition to radically increased transparency of tax information over the last five years. This development, while principally affecting international transactions, has largely been driven by public outcry in national constituencies. In 2008, tax avoidance helped by secret bank accounts in Lichtenstein caused widespread indignation in Germany, generating pressure for increased openness. This year, prompted by public uproar over Starbucks’ and several other multinationals’ almost complete avoidance of UK taxes over several decades, the UK used its G8 presidency to bring tax avoidance to the top of the global policy agenda. In the extractives sector, additional progress on transparency has been made by the Extractive Industries Transparency Initiative (EITI), which requires governments and companies to publish data on taxes and royalties from oil, gas and mining operations. Many countries have also strengthened their extractives tax codes. Companies have a number of tax planning opportunities available to artificially reduce profits, obscure ownership, or outright evade tax. Transfer pricing refers to the pricing of goods and services traded within the same company, or groups of related companies. As prices for intra-company trade are not set by the market, these prices can be artificially inflated to shift profits to low-tax jurisdictions. Profit shifting can involve the leasing of machinery and sale of services from shell companies in low-tax jurisdictions, or intra-company lending and insurance provision at artificially high interest rates or premiums. Increased transparency on bearer shares, the physical documents that confer ownership of companies, as well as more mandated information sharing, will help tax administrators sift through corporate networks frequently consisting of dozens, sometimes hundreds, of affiliates and related shell companies that trade between themselves. Another common practice, known as “thin capitalization”, is for companies to rely on debt financing for their operations - using little own equity, thereby taking advantage of tax deductibility for interest payments as well as reducing their cost of capital. A third method, known as false re-invoicing, makes use of the secrecy of tax havens to change tax-relevant invoicing information. 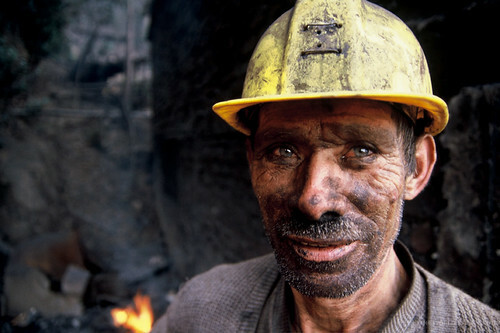 In many developing countries, these practices take place in a tax environment that is already heavily tilted towards the private sector, particularly in the form of large tax incentives for oil and mining multinationals. While it may have been shocking for British citizens to discover tax avoidance on their daily Macchiato, large-scale tax avoidance can in developing countries mean lost opportunities for millions of individuals, as countries are being deprived of the means to finance development. However, efficiently taxing the complex global value chains of oil and mining multinationals, while maintaining a fertile investment climate, remains beyond the capacity of many developing country tax administrations. Hiring and retaining highly educated and skilled tax administrators may be near impossible in countries where the pool of skilled university graduates is small, and the hiring environment dominated by better-paying jobs in local affiliates of multinational oil and mining companies. IT systems may be rudimentary, and the skills to design and run automated tax information systems unavailable. Against this backdrop, representatives from resource-rich developing countries, the OECD, the IMF, the EITI and the World Bank Group gathered earlier this month during the Annual Meetings of the World Bank Group and the International Monetary Fund, to debate measures to reduce tax avoidance in the extractive industries. For resource-rich developing countries to be able to efficiently address poverty and inequality, without accumulating unsustainable levels of debt, such debate must translate to radically expanded action. Aid organizations can and must provide sufficient funding and technical assistance for meaningful strengthening of administrative capacity, governance and oversight in relation to the extractives sector, while building on recent achievements on legal and regulatory frameworks. Political will to implement such changes needs to come from governments, as well as from companies that seek to level the playing field with respect to tax-avoiding competitors. The authors are grateful to Munawer Sultan Khwaja, Bryan Land and Komal Mohindra for their comments on earlier drafts.